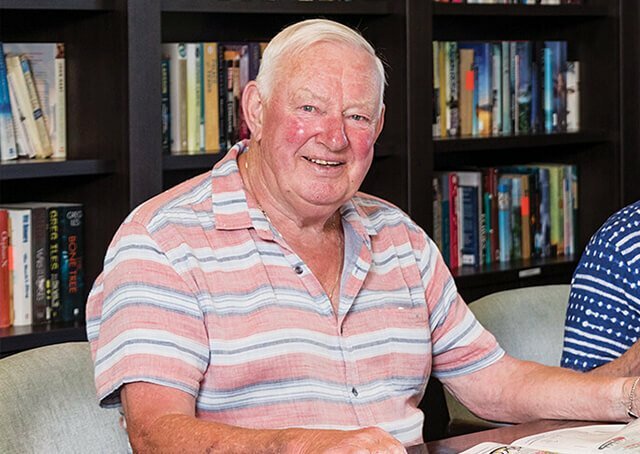 The decision to move into a retirement village can be challenging but can often help when people are struggling to maintain a sense of home. This was the case for Jennett, who sold her family home and moved into a smaller apartment last year. “I have a beautiful son who lives in Canada, and I lost my beautiful partner twelve years ago. My home was just too much for me to look after because I like everything so-so and the garden perfect. It was costing me a lot of money,” she says. 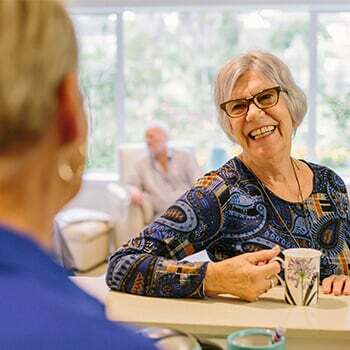 The apartment is located in Wheeler’s Hill and is part of Ryman Healthcare’s Nellie Melba retirement village. Jennett viewed the place a few times to speak to a representative from Ryman Healthcare before deciding to buy one of the top floor apartments. Jennett previously worked as a fashion designer and make-up artist. 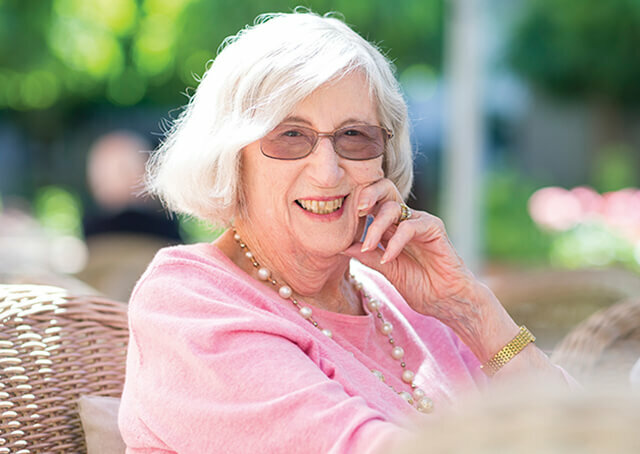 Though she lives within the retirement village, her life is not confined to that community. She still works part-time in sales and make-up artistry. The village has given her an opportunity to enjoy her passions in group settings. 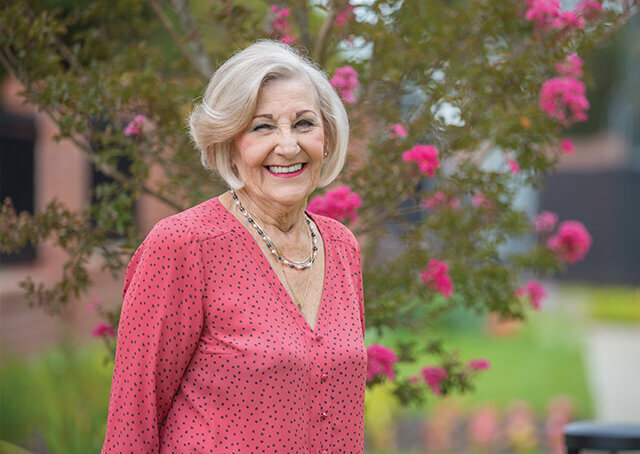 Though Jennett will regularly catch up with her long-time friends outside of the village, she speaks highly of the friends she’s made at Nellie Melba. 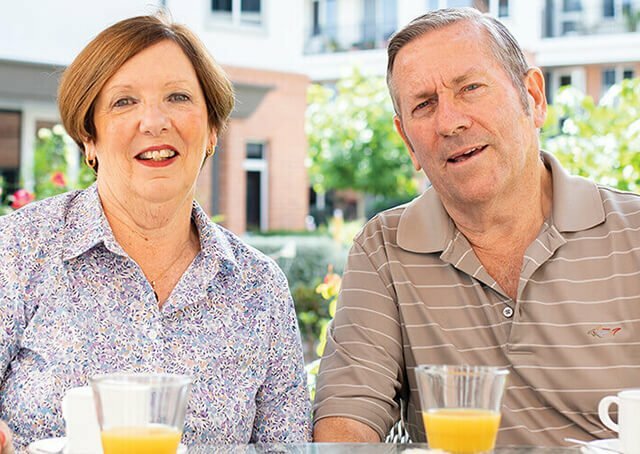 Jennett says her life has simplified since moving into the apartment. She enjoys eating dinner on her balcony and finds taking care of her pot plants much easier than tending to a large garden. “I ring my son every other day to say, ‘I just want to tell you that I live like a queen now,’” she laughs. 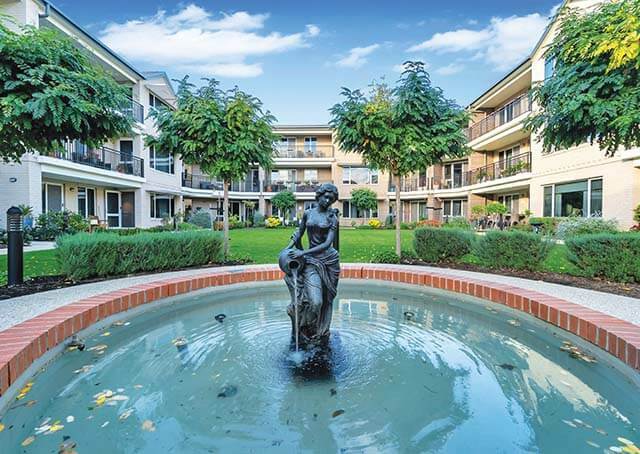 Ryman’s independent apartment gives Jennett the freedom to come and go as she pleases with the companionship of the village community. If her level of care were to change, the facilities are already there.